Call today: (844) 674-5521 in Ohio, Kentucky and Indiana, or (941) 722-2484 in Florida! Revolutionary. Resilient. ONE DAY PROCESS. 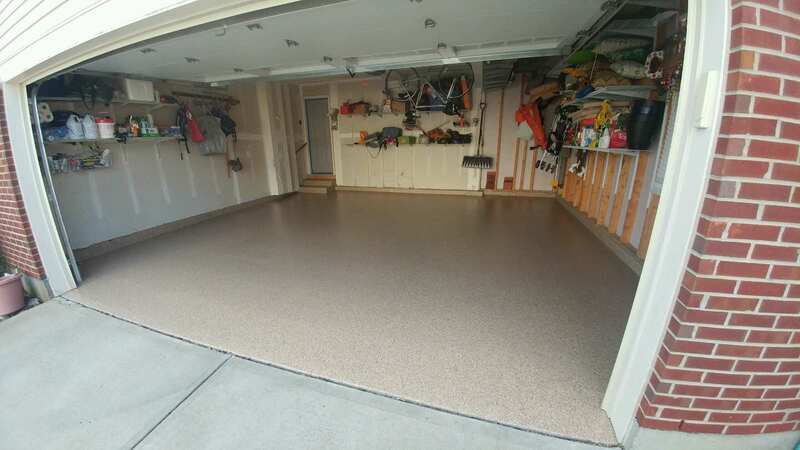 Your New Garage Floor, Expertly Coated in Just ONE DAY! Garages, Steps, Warehouses Sidewalks and More! 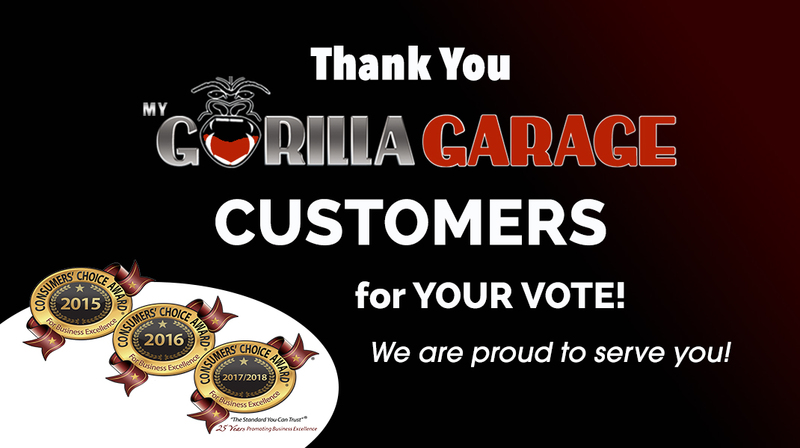 My Gorilla Garage is simply the best surface coating for your garage, porch, sidewalk or any residential or commercial space. Our proprietary surface looks fantastic and provides incredible performance. 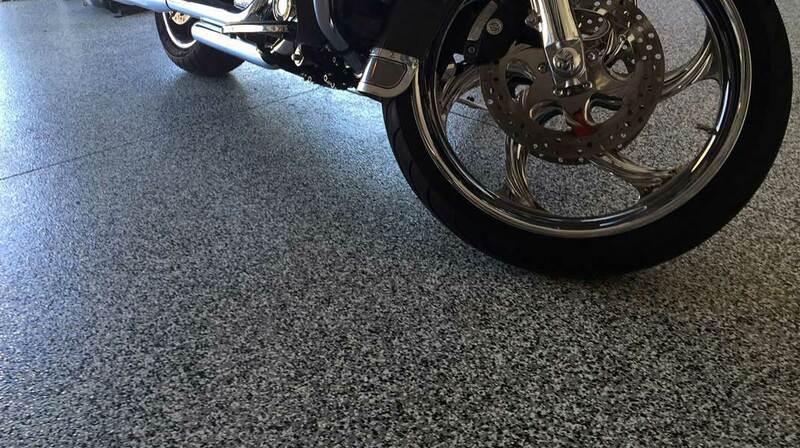 Say goodbye to stains, dirt and slippery, unsightly concrete and say hello to a My Gorilla Garage floor! Installed in just ONE DAY! Get a free estimate today and find out how you can get a waterproof, seamless floor installed in one day! Call today, 844-674-5521 and get a free, no-obligation estimate. We’ll even give you a free moisture report on your current floor — a critical first step for any floor coating system! Contact us now to schedule an estimate and we’ll be happy to answer your questions and explain what sets our premium garage floor system apart from others on the market. Locations in Cincinnati and Dayton, Ohio (844-674-5521); Indianapolis, IN (844-674-5521) and Sarasota, Florida (941-722-2484)! Slide the vertical line to the left and right to see the before and after images of this garage. The before image on the left is a typical garage floor, with oil stains, paint stains, chipped concrete and cracks. 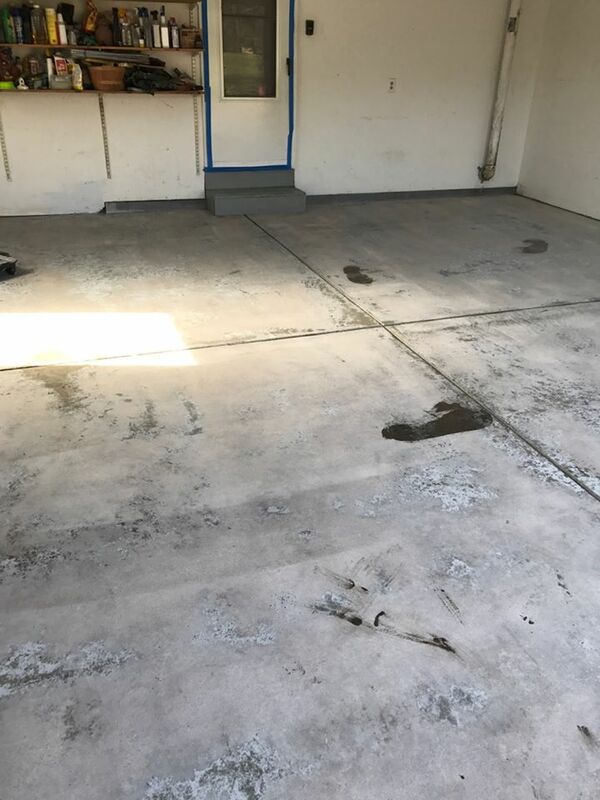 No one wants this garage floor, especially you! 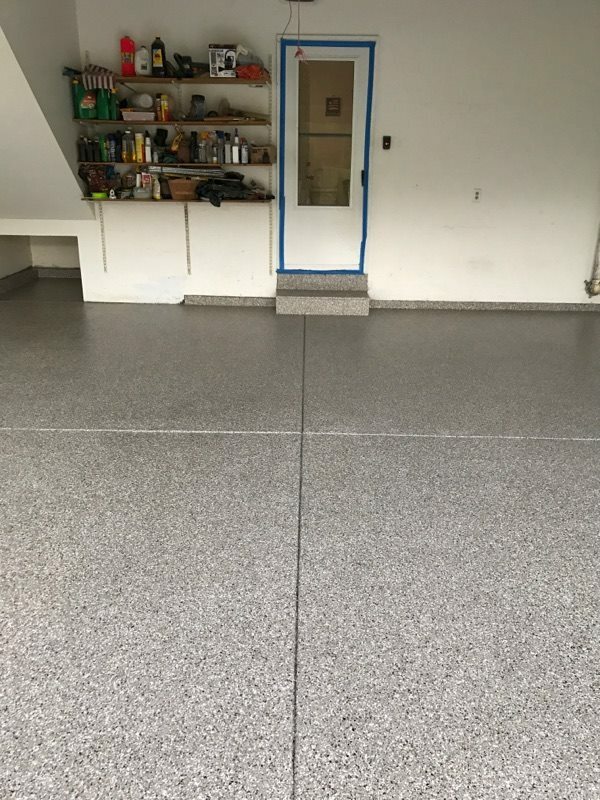 The after view is a My Gorilla Garage floor that looks great, is stain resistant, will stand up to abuse and cleans easily! 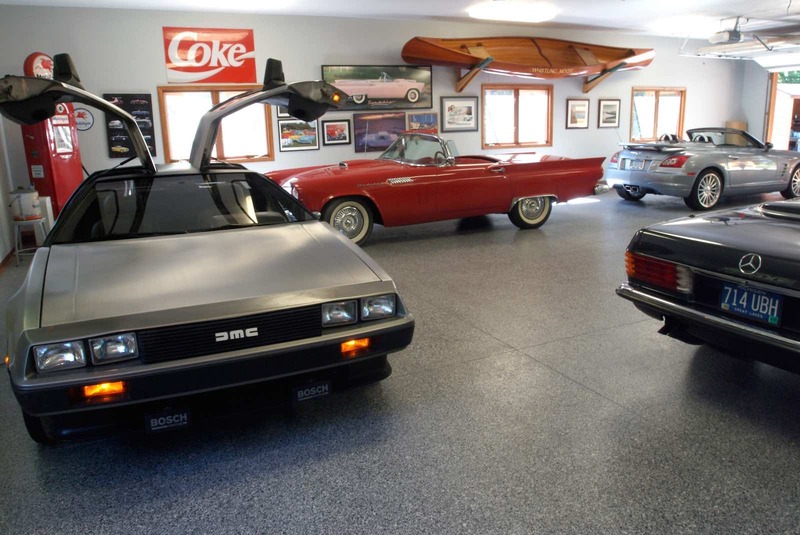 This is a garage floor you can enjoy and be proud of. Be the envy of your neighbors! An elastomer coating that stretches and moves with the concrete. 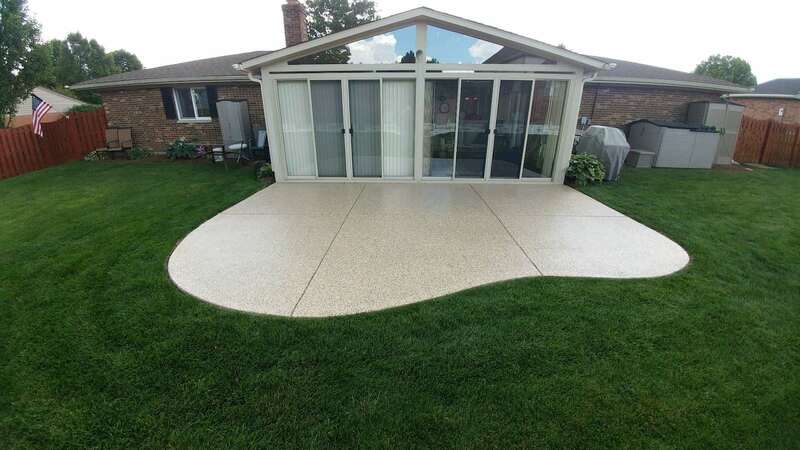 The My Gorilla Garage Floor Coating is an elastomer, so it stretches and moves with the concrete, which gives you far superior durability and performance characteristics. Installed in ONE DAY, so you get to use your garage right away. 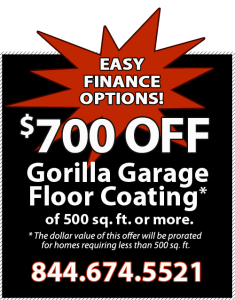 The My Gorilla Garage Floor Finishing System is superior to the competition and can be applied year-around to almost any concrete floor with our exclusive one-day process. 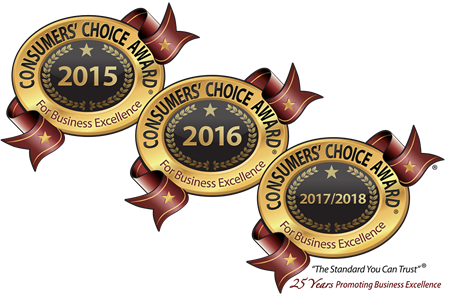 Our award-winning team is ready to give you the garage you've dreamed of! We currently serve homeowners and businesses in the areas around Cincinnati, Indianapolis, Dayton and Sarasoata. Contact us today! I am very happy with the floor and have gotten many positive remarks from family , friends and neighbors. One has already scheduled a floor to be installed! Thank you for an awesome job done! Matt & Mike were awesome! Praise God! Thank you, thank you, thank you! The installers were very efficient and worked hard to give us the product we wanted. Both were very courteous and they did a great job!